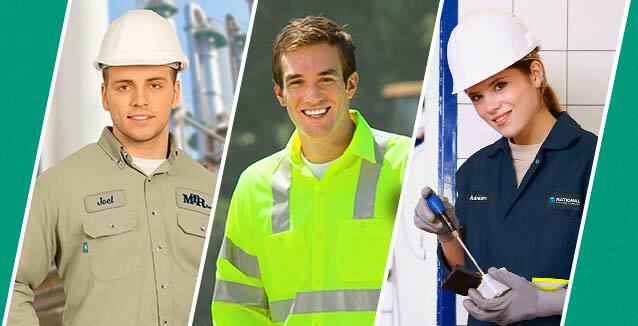 There are many pros and cons to whether or not you want your facility employees to wear uniforms you supply or a designated work attire that they choose which follows regulations. One of the pros of having your employees wear a certain uniform is that everyone looks the same more or less. This allows customers and other non-maintenance facility workers to identify who is who. In hospitality industries and other guest-related industries, this can make them feel more safe and at ease by knowing they are able to recognize an actual employee of the company. It also creates a team amongst your employees and by supplying the uniform, it saves them money, even if you do require a small stipend out of their pay, by keeping their own clothing from having to be used. There are a few pitfalls to requiring an employee uniform for your workers. For instance, some employees do not like to feel as if they have to dress in a certain outfit. While ultimately it is your decision, if you have employees that do not have public interaction or still maintain a professional look, it may be less hassle to allow your employees to dress on their own. Having that freedom of choosing their own look can promote a more happy environment. Some places allow the employees to wear certain things but will add a hat or vest that still shows the workplace name and lets others know that they work for the company. It is ultimately your decision when it comes to employee uniforms if you own the business. If you have a smaller staff then you may feel comfortable discussing what they would like. You might be surprised that some actually would like to wear uniforms or at least a company supplied work shirt. As long as your employees look nice and are a representation of your facility then you can't go wrong in making the decision for or against uniforms. And to better keep up with the rest of your employee needs such as work orders, preventative maintenance and more, Maintenance Care provides CMMS Maintenance and Work Order Management System so that your workload will be easier to run.